Shower Enclosures UK.com Ltd or SEUK for short have been trading for almost 5 years supplying bathroom equipment to local trade and to the public across the UK. We have vast experience supplying showers and ancillary equipment whether you require a cheap enclosure or ultimate showering space. We have an ethos of treating our customers with respect and understanding that not everyone's level of technical know how is the same. For this we have been rewarded by our customers with some fantastic feedback on Trustpilot. We also have great reviews on both eBay and Amazon where we retail some of our accessory and end of line shower enclosure related items at great discounts. You can purchase any of our products including the lovely Phoenix Pentangle Enclosure to the left online or over the phone on 01422 370427, give us a call today. 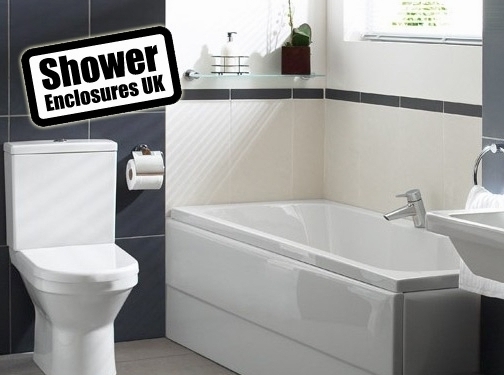 UK (Elland) based business providing bathroom products and fittings for sale. Website includes e-commerce facilities, delivery information, accreditations, testimonials (via Trustpilot), blog, full company contact details including company registration number. Company website has been online since 2009 according to web.archive.org.